Foot Patrol, the volunteer operated service on campus where teams of two are sent out to help safely walk students home, turned 26 this year and held a celebration in the concourse to not only celebrate the success and legacy of the program, but also to inform students and recruit. “I’m a general volunteer, so I both walk people home once or twice a week, and then I also dispatch, so I answer the phones, direct people and tell them where to go,” said Shaw Langston, one of Foot Patrol’s many volunteers. 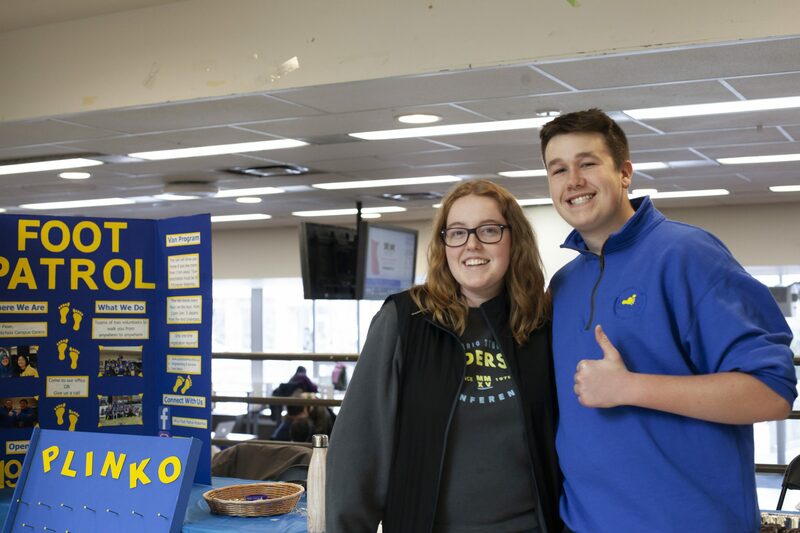 Foot Patrol is run fully by volunteers under the Students’ Union and is operated under the Students’ Union vice president of programming & services as well as a coordinator who is hired strictly for Foot Patrol. Foot Patrol operates on both the Waterloo and Brantford campuses, as safety is a priority at Laurier and many students who have class or co-curricular activities late do not feel safe walking home alone. Though any student can apply to be on Foot Patrol, at least one student on duty at all times is first aid trained and they are always equipped with a first aid kit and radio, as they usually are walking people home until around two in the morning and even though they could be found in an unsafe situation themselves, as they selflessly help other students get home. “I’ve been on Foot Patrol since my first week of first year, so I’ve been on it for two years now. Personally, as a member of the team, it really brings you together, I’m really close friends with the people I work with but it also builds key leadership qualities,” she said. “I walk students home once a week as well as drive students home in our van service, so students who live more than two kilometres away from campus within Kitchener-Waterloo we drive home from 11 p.m. to two in the morning which is great,” Victoria Bothwell, another Foot Patrol volunteer said. During the event, Foot Patrol had cupcakes and snacks as well as games to celebrate its birthday, and also had many volunteers at the booth informing students of all the services available like walking or driving home late at night, as well as information on how to get involved.